Twin Mercury V8 engines, with a combined total of 1,100 horsepower, burst into life in Ocean Village last Friday (August 11), one of the chic new marinas in Southampton Water. The deep, throaty noise reverberates off the granite walls, sounding for all the world like Bruce’s McLaren M8F Chevy Can-Am car rumbling up to take its place on the grid. Crikey, I think, they don’t make ‘em like that any more! 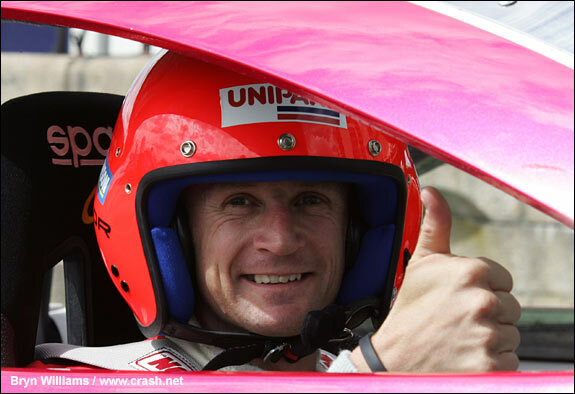 On the throttles (plural) is a petite blonde, Jacky Hunt, and by her side is a petit Scot in Audi overalls…yes, Allan McNish, at the wheel, preparing for a test drive like none he has experienced before. Even the start was unexpected. “Would you like to steer?” asked Jacky. “What, do I sit where you are?” responded Allan. “No,” came the answer, as Jacky removed the steering wheel and handed it to her co-pilot. “I don’t think we’ll tell Doctor Ullrich about this, it might give him ideas.” OK, Allan, not a word. 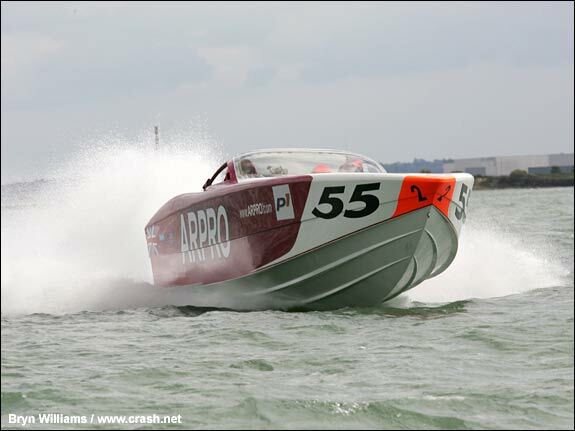 Before long he and Jacky were planing the ARPRO Mercury across Southampton Water, leaping from crest to crest at 70 miles per hour. Nishy’s Audi R10 goes down the Mulsanne at nearly three times that speed, but can the two be compared? Allan was down in Southampton to take part in a preview for the Cowes Powerboat Festival over the August Bank Holiday weekend, Friday to Sunday 25th to 27th August. More than 100 craft will be racing that weekend, well worth a visit to the Isle of Wight if you want to do something completely different, and plenty of fun has been arranged for families. Sunseeker, one of the world’s leading manufacturers of leisure craft, announced its plans to compete in the Powerboat P1 World Championship with a twin Yanmar diesel engined Challenger XS2000, competing in the SuperSport class. At the wheel will be a McLaren employee, Andy Wilby, with Gavin Brown on the throttles.